To the south of Johannesburg is an isolated mountain which rises from the surrounding plain. It plays host to the Suikersbosrand Nature Reserve and gave up a hatful of chats during a recent visit. The chats love the rocky slopes and grassland that make up much of the habitat on the Suikersbosrand estate. Particularly prized are areas of burned grass where larks and chats feed amongst the burnt grass stubs. 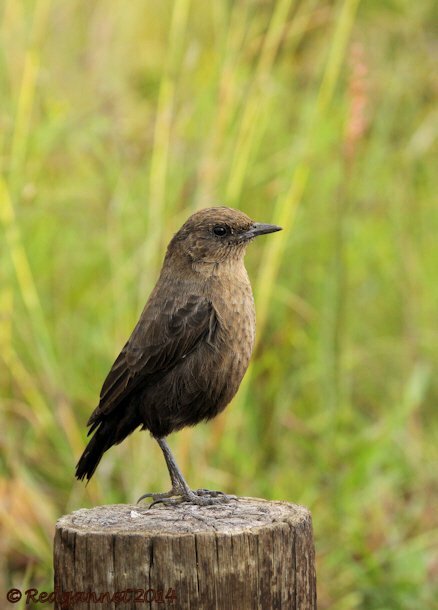 The chats join with wheatears, akalats, redstarts and various hyphenated robin-chats, bush-robins and rock-thrushes to form the family Muscicapidae or Old World Flycatchers. 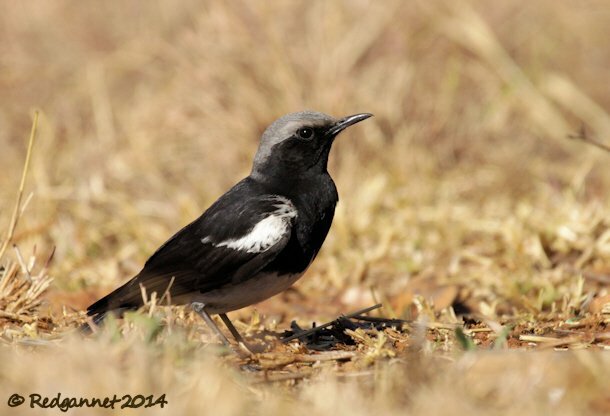 First up came a Mountain Wheatear (sometimes known to us old folks as a Mountain Chat) Oenanthe monticola. This one wears the dark plumage of the northern form, but the white rump and outer tail remains a constant across the races. 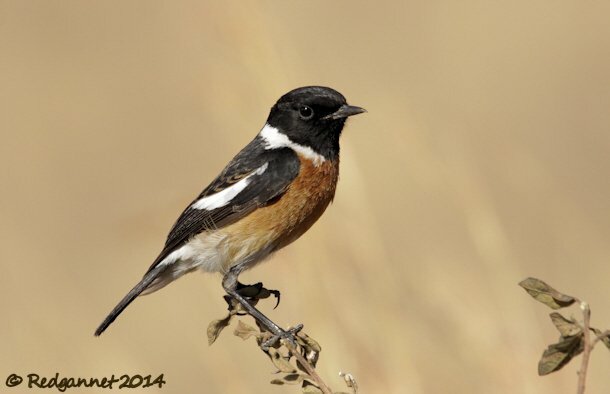 African Stonechats, Saxicola torquata, love the delicate vantage points of grass stems and fine perches from which to watch for insects and passers-by. 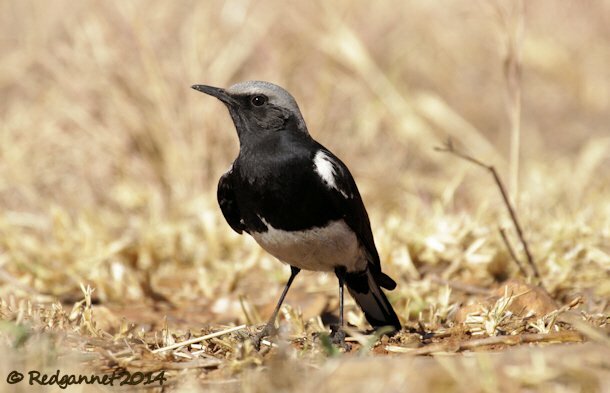 The Capped Wheatear, Oenanthe pileata, favours a good stout rock from which to eye his prey. The Southern Anteating Chat, Myrmecocichla formicivora, caught my fancy as it has a very distinctive flight style with white patches showing in the whirring wings. Its upright stance is a useful fieldmark at distance. 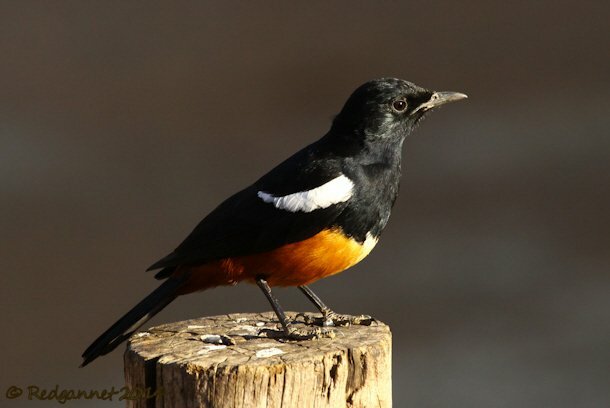 The Mocking Cliff-Chat took the prize as the most eye-catching of the chats today with his deep chestnut belly and white epaulets. The female is greyer above and lacks the white markings. 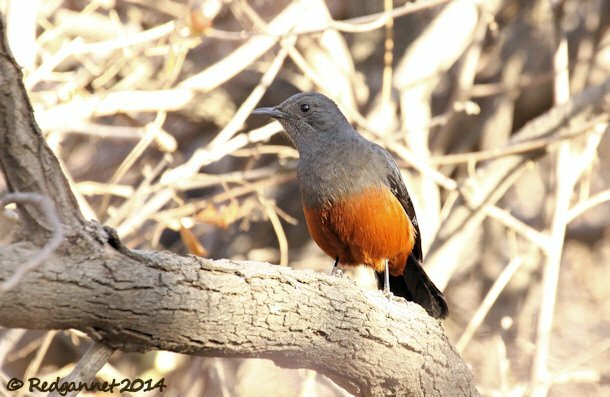 But we haven’t even touched on the Rock-thrushes, Robin-Chats and Scrub-Robins from the Monticola, Cossypha and Cercotrichas side of the family. A quick scan through the archives at 10,000 Birds shows that Muscicapidae are not exclusively Old World, but are sufficiently exciting to write about when they do appear, so I shall save the smaller, hyphenated birds for a part 2. This multi-species post will be archived on the Birds page where families and genera are presented and discussed. For single species accounts, see the 10,000 Clicks galleries. I didn’t know that there are so many chats! 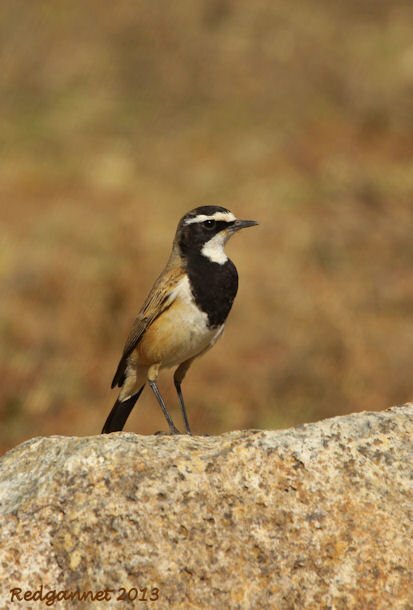 In the U.S. we have a bird called Yellow-breasted Chat, Icteria virens, a member of the PARULIDAE family. I wonder what is the derivation of the common name “chat” for all these birds? Here is a life tip for anyone like Donna who wishes to know the derivation of the name “chat”. Don’t look up “chat” on the internet while your wife is watching over your shoulder. It will never end well. “Hwit” and “oers” are the Anglo Saxon words used to describe “white” and “rump”.This is thought to be the origin of the Wheatear’s name. I will return to “chat” when my wife goes to bed.